Rockland, Maine, August 10, 2018 —The Center for Maine Contemporary Art (CMCA) invites the public to a Tuesday Talk with photographer Jocelyn Lee in conversation with Edward Earle, former Curator of Collections at the International Center of Photography, NYC, on Tuesday, August 21, at 5:30pm in the CMCA galleries at 21 Winter Street, Rockland, Maine. 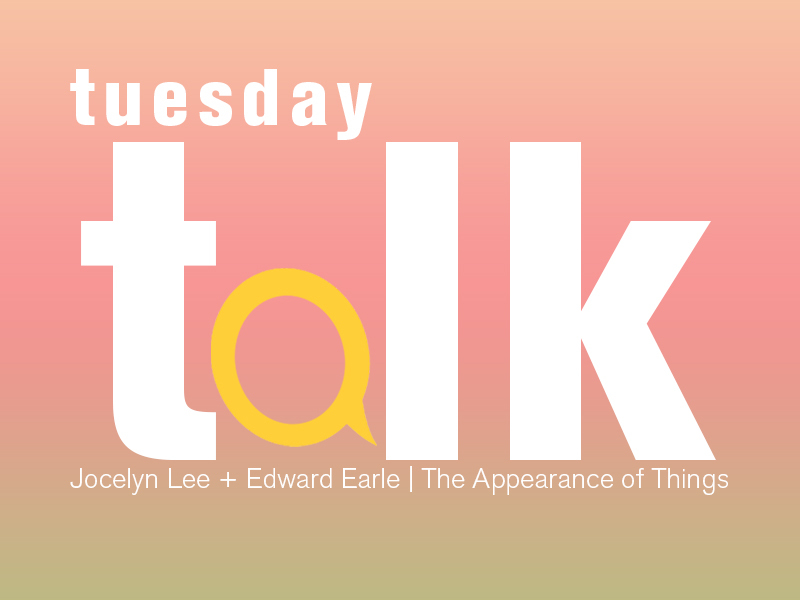 Lee and Earle will discuss the historical underpinnings of Lee’s work on view in her current solo exhibition, The Appearance of Things, as well as new directions in portraiture, landscape, and documentary photography. Tuesday Talks are free with admission, and participants are invited to stay after the talk for further conversation and refreshments. Jocelyn Lee was born in Naples, Italy, and received her BA in philosophy and visual arts from Yale University, and her MFA in photography from Hunter College. In 2013 she received a NYFA Fellowship, and in 2001 she received a Guggenheim Fellowship. She has taught photography at Princeton University (2003-2012) and at Maine College of Art (1993-2001). She has been a visiting artist at Yale University, Bowdoin College, Massachusetts College of Art and Design, and New York University. Her work has been published in numerous national and international publications and is in many public and private collections. Edward Earle is the former Curator of Collections at the International Center of Photography, NYC. At ICP, he curated a retrospective of MANUAL, the collaborative work of Ed Hill and Suzanne Bloom, as well as two Triennial exhibitions before retiring in 2015. Previously, Earle developed new media projects at the California Museum of Photography at UC Riverside. A graduate of the Visual Studies Workshop in Rochester, NY, Earle also worked at the Photographic Resource Center, Boston, and the Museum of the Moving Image, Queens. For additional information on Tuesday Talks and exhibitions at CMCA, please visit cmcanow.org.